You must have tried a number of solutions for the ridiculous problem of uncontrolled underarm sweat. There are some tools to help you control the excessive build-up and odour of sweat. Apart from these odour-controlling instruments such as antiperspirants, there are several solutions for controlling its presence on your clothing. Underarm sweat pads are one such option. Also known as armpit pads, these are regarded as the best way of saving your clothing from getting marred by sweat stains. They also save you from the embarrassment of walking around with wetness clearly demarcated in the underarm zone. But this is not the complete truth of it. All underarm sweat pads do not match the glamorized picture painted of them among the masses. Taking these pads in use comes with its own challenges in relation to its benefits. Read further to understand the complete truth of armpit pads. Made of cotton for a use-and-throw routine, armpit pads are used for absorbing sweat directly from your skin or clothing. What distinguishes sweat pads from garment shield or guards is its disposable usage. The guards or shields are made for the clothing and are rewashed for further use. Armpit pads, on the other hand, are used once and thrown when after one use. A great variety of underarm sweat pads is available in the market. Some stick to the clothes while some stick to the skin. Some others are stitched in the clothing or worn with the help of pins. They are available in different neutral colours to fit with your clothing as well. Armpit pads are regarded as a great help for people who face small to moderate amount of sweat. The moment the sweat bar raises to high, there comes absolute failure. There are a number of situations when your sweat pads just not the right solution. It is important to know these circumstances to avoid getting embarrassed in the public alongside saving yourself from the harms. Expensive clothing: One of the biggest demerits of sweat pads is their side effects on your clothes. Stick-on pads often come with a very strong adhesive that remains in your clothing, possibly ruining it for a long time. Loosely-fit clothes: Sweat pads do not work in the case of loose clothing. 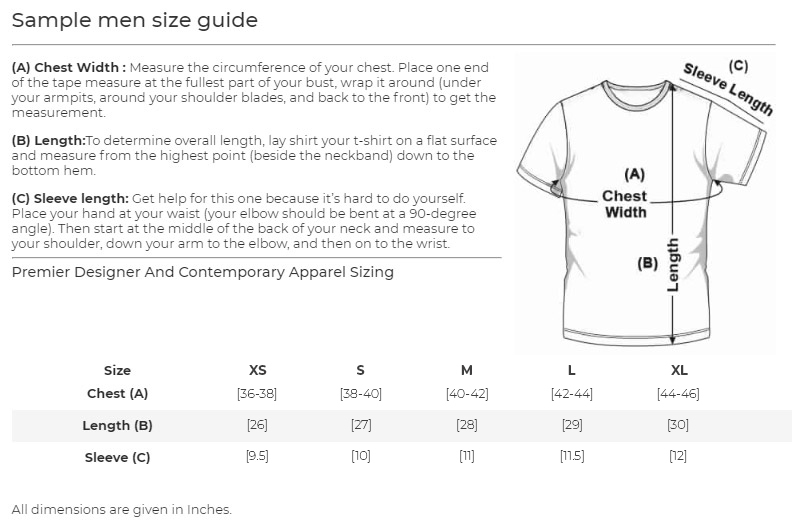 If your shirt’s underarm is not close to your underarm, then the sweat absorption does not take place properly. All the perspiration might just drip under your shirt. Skin-fit clothes: On the other hand, clothes with a tight fitting also do not go along with underarm sweat pads. These pads are shapely visible through the clothing and give a bad impression from under it. Sensitive skin: A major harm of using armpit pads is the drawbacks they have for your skin. The sticky material of the pads can adversely affect your skin and leave it with dangerous reactions. Irritation is a common problem faced with sweat pads. Hyperhidrosis: In case of excessive sweating, armpit pads just don’t work. The high levels of sweat end up overusing the pad and make it inept very quickly. While these were only some of the situations wherein pads do not work properly, they have a few more demerits. The biggest trouble of using an armpit pad is its placement. They might be perfectly placed when you begin the day. But 2 hours into it, and you have to rush to the bathroom to readjust it. Along with the skin irritation, a displaced pad poses as much trouble. Additionally, the adhesive of the pad also loses its capacity after taking a certain level of sweat. It makes an even more disgusting look with pads sticking out of your clothes. The use of underarm pads comes with its own awkwardness. They are difficult to maintain and equally embarrassing to deal with in public. Moreover, you cannot work with confidence once the pad is full, giving you the horrors of flapping out through your clothing. The bottom line is that underarm sweat pads are not for everyone. With all their side effects and ineffective functioning, they are oftentimes a real headache. But there exists a much better option for your sweat control. 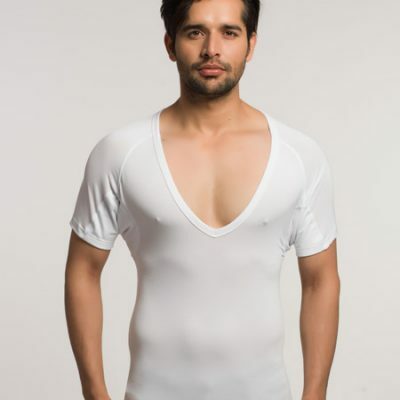 India’s first ever sweatproof undershirt by NG Wear is the perfect way to go about sweat control. It is sweat-absorbent and odour-controlling made to suit your comfort and style. With NG Wear’s anti-sweat undershirt, you can forget your worries about sweat pads and more. 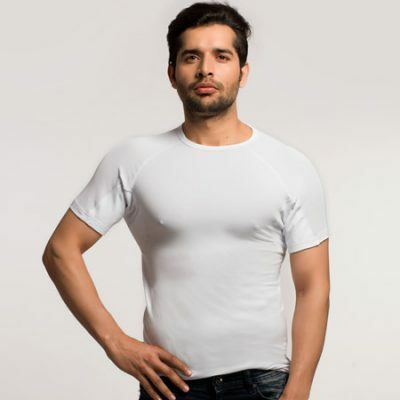 Read here to know more about NG Wear sweat proof undershirt.